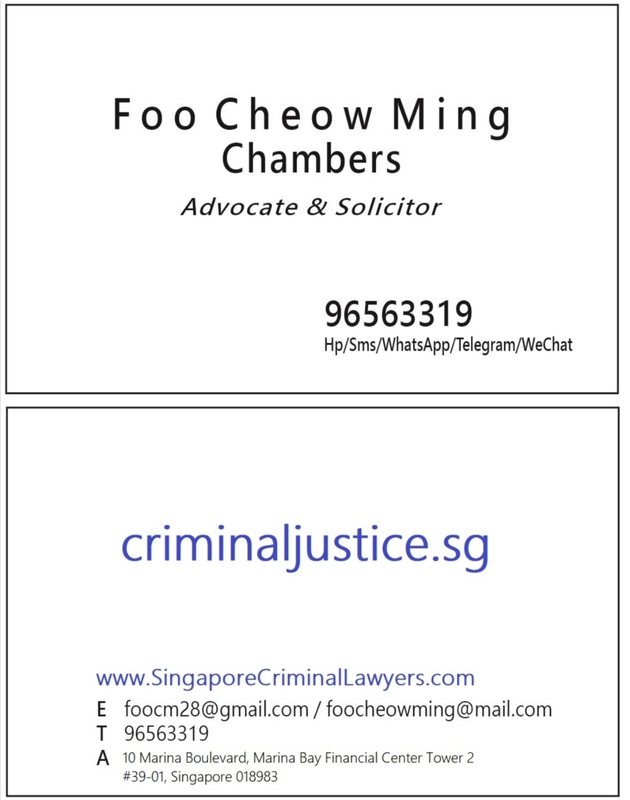 Mr. Foo is a dedicated criminal defence lawyer with 20+ years practice experience (Asst Registrar High Court, Magistrate, Deputy Public Prosecutor and State Counsel, then as dedicated Defence Counsel). He applies his expertise to bring you a focused, solution-oriented and effective approach to your criminal case. 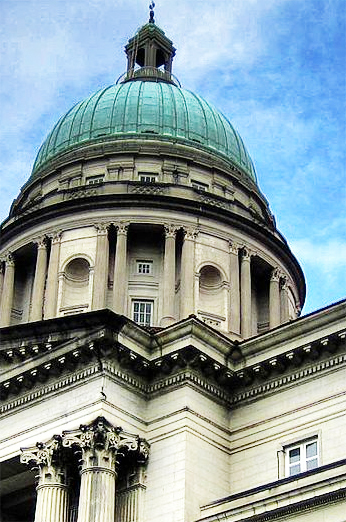 Foo Cheow Ming started his career in the Legal Service where between 1989-1999 he served firstly as Assistant Registrar of Supreme Court, and then as Deputy Public Prosecutor in the Attorney-General’s Chambers. Upon joining private practice in 1999 he worked in partnership with prominent criminal defender Mr Sant Singh Senior Counsel for 5 years. For 7 years he then carried out a fulltime dedicated criminal defence practice in KhattarWong LLP, one of Singapore’s biggest firm. During his time in KhattarWong he also collaborated and worked closely with Mr Subhas Anandan, another prominent expert criminal defence lawyer well known in Singapore and abroad. Mr. Foo has almost nine years of experience in Legal Services and by now 30 years experience in the legal arena, specializing in criminal defence work. Mr Foo can quickly focus on exactly what you need to do to resolve your criminal case to your best advantage, rendering effective advisory and minimizing effectively the impact you might suffer. Mr Foo enjoys one of the best reputations as a dedicated criminal defence counsel in town, having won the confidence of not just his clientele but also other institutional and official stakeholders in this industry. Mr Foo is appointed to the List of Counsel for the Cour Penale Internationale (International Criminal Court, ”ICC”) in The Hague, Netherlands. The ICC is an independent, permanent court instituted under UN auspices that tries persons accused of the most heinous crimes of international concern, namely genocide, crimes against humanity and war crimes. He is believed to be the first counsel from Singapore, as well as amongst the first appointed from the countries of SE Asia and East Asia, who has been so honoured. Mr Foo today commands 30 years of experience acting as both defence and prosecuting counsel in cases involving every description of white-collar, traffic, technical as well as violent crime offences including cheating, maid abuse, causing hurt and outraging of modesty, corruption, firearms offences, murder, bank robbery, Companies Act offences, road traffic, medical or industrial accident cases involving complex technical issues of accident reconstruction and contest of expert engineering, medical or psychiatric opinions, Factories Act offences, Computer Misuse Act offences, illegal money lending/laundering, harbouring and employment of immigration offenders and foreign workers, drug consumption and trafficking, and departmental summonses. Mr. Foo has represented/advised major companies (Singapore Technologies Marine, AsiaLink Marine), banks as well as statutory boards (such as Civil Aviation Authority of Singapore, Energy Market Authority, Maritime Port Authority, Council for Private Education, just to mention a few) in the course of his work. 2019 © Singapore Criminal Law. All rights reserved.